Give your bathroom a tranquil update with the Aruban Flowers Shower Curtain. 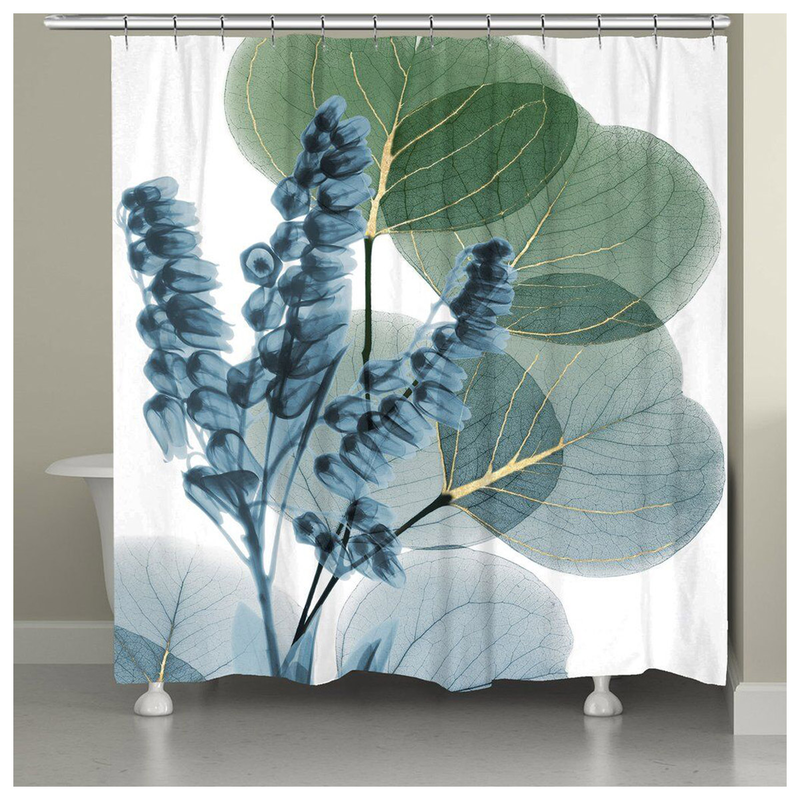 Crafted with a blue lily and eucalyptus leaves on a white background, this beach shower curtain makes a beautiful accent. Ships from the manufacturer. Allow 1 to 2 weeks. Cannot express ship. For more offerings, we ask you to take a moment to go through our entire assortment of beach shower curtains at Bella Coastal Decor now.